Hello loves! How are you all doing? 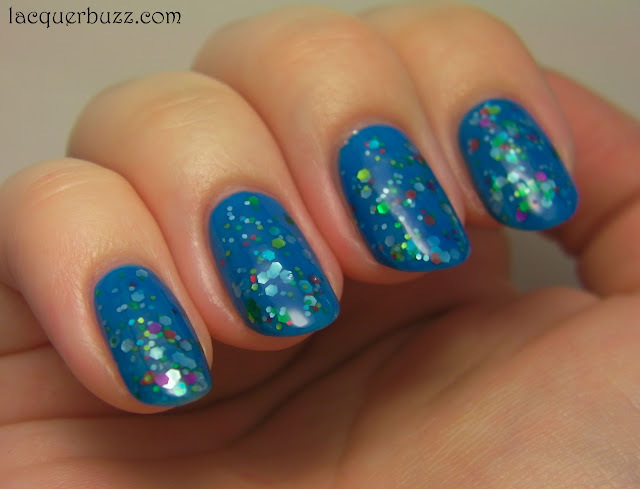 Today's post is a blue jelly sandwich for Sandwich Day! If you don't know what that is let me fill you in. 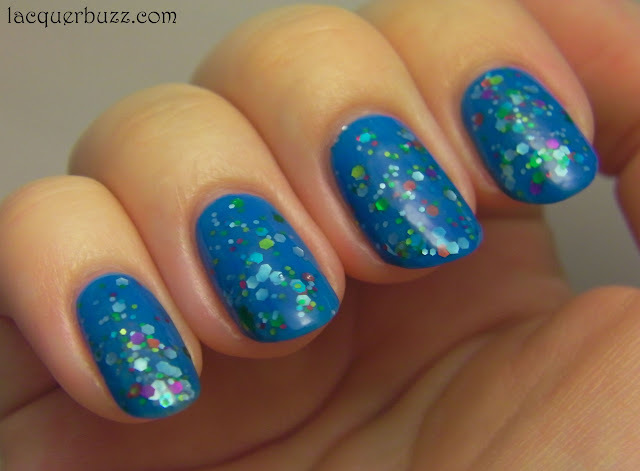 Polish Days is when a lot of bloggers decide to post a certain manicure or polish at the same time. And when I found out that the next theme is something I could do too, I just had to participate. I did this in a rush but I had to do it even with exams and everything. So here we go! I started with a base of OPI No Room For The Blues. This is one of my favorites because application is flawless and it dries fast, so it makes for a perfect base for nail art. 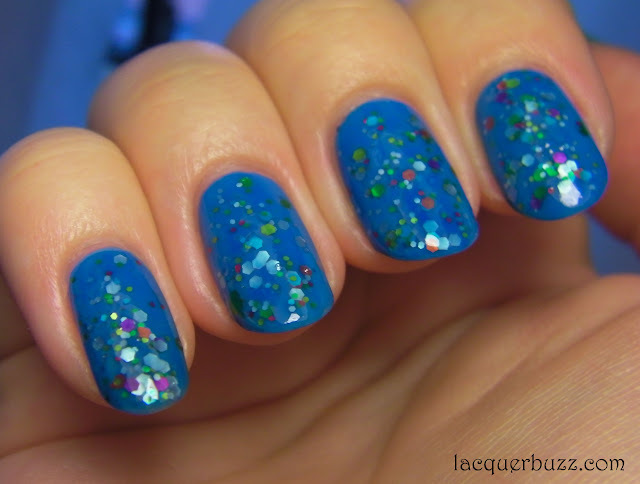 The glitter is NYX Carnival (2 coats). 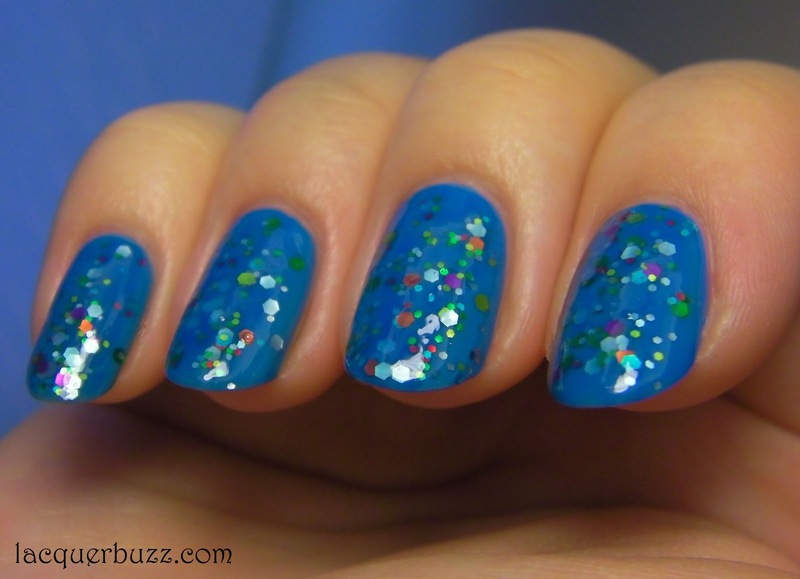 I'm debating if I should do a comparison between this and Essence Circus Confetti. Please let me know if you would like me to do one! Finally, I layered one coat of the jelly, which is Aden Cosmetics 92. This dries to a matte finish so it needed a coat of top coat as well. I don't know what it is with jelly sandwiches, but I've noticed they are pretty hard to photograph. They come out more flat in photos compared to real life. So I took some pictures in direct light to bring out the shine. There was no sun the day I did this so no sun pictures unfortunately. I really enjoyed wearing this and ended up wearing it for 5 days between exams and all. 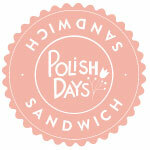 Make sure you check out all the blogs participating in the Sandwich Day event! If you want to take part in future events check out this page to find out how. I hope you enjoyed this as much as I did and thanks for stopping by! PS: I hope all the links are working and the names are correct. I will be adding more links later. Special thanks to Hannah for putting them all together! Later edit: Sorry it took me so long to update the links but it was night over here. Hope everything is ok now! Beautiful Mihaela, Love the colours! Pretty! I like the sandwiches I just never think to do them when I am getting ready to do my nails. This is so gorgeous Mihaela!! I love it! Pretty sandwich, I love the combo! Why not? It's such a fun and creative way to layer. Plus people will never figure out what you have on your nails hehe. Hey, I've nominated you for a Liebster Award! love your blog, BTW! Thank you so much! But you didn't leave me the link for your blog.